Cebu is believed to be the birthplace of Filipino Martial Arts. Today we are going to take a stroll through the city and learn a bit about the Balintawak School run by Bob Tabimina. The Tabimina system is a technique which Bob developed by combining what he learned from the first Balintawak instructor and other martial arts such as judo and karate. 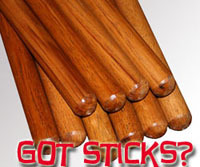 The Balintawak is quite unique as it involves close quarters combat with sticks. You use your hand to block incoming strikes while you keep striking with the stick. It sounds pretty easy but it won’t appear so once you see the masters in play. The video serves as an introduction to the world of Bob Tabimina and his unique martial art involving the Tabimina System.